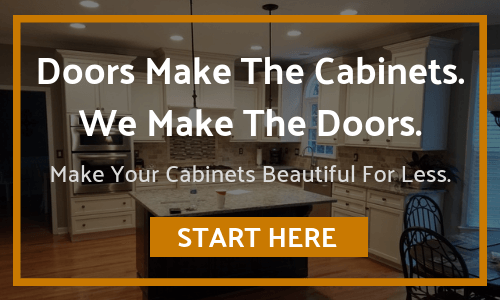 Click the button below to add the Raised Panel Door Primed to your wish list. Dimensions were exactly as requested. Didn't know what to expect ordering online sight unseen, but wow. Ordered 5 cabinet doors and they're nicer than the ones on the rest of the cabinets. Ordered mdf primed with the boring done for the hinges. They're perfect and so are the hinges. If I need doors again, I know where to go! Overall a good experience. I ordered 4 small cabinet doors. What I really liked is that I could specify very precise sizes. Most online cabinet door places would only let you order in 1/4" increments. Cabinet Door world filled my order to the 16th of an inch. Excellent fit and finish. Recommended. The construction and delivery took a little over a month to receive. Once we did we were very happy. They matched perfectly. Construction was top notch and sized according to out specs. They painted very easily. I would definitely do business with them again. I was very pleased with the workmanship of my cabinet and drawer fronts. If you are going to paint the doors be sure to order them primed. This will save you a lot of time and the primer is excellent. I ordered primed door and drawer fronts. They arrived in a timely fashion and were the correct size. They appear flawless and of good quality. I am pleased there will be no need to prime! Needed new doors for one cabinet in our 20 yr old kitchen and these will be almost an identical match. Very high quality, solid and well made. Packing for shipment was EXCELLENT and they were well protected from any damage in transit. Very pleased. Also I really like this style hinge (we had the doors drilled for the hinges, and had hinges included) and would like to purchase more of them to replace some of our others which are old and failing. 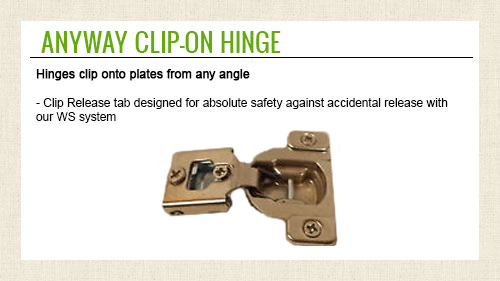 Can I buy more hinges?